How The Bachelor And Bachelorette come up with their crazy contestant bios, from chicken enthusiast to panstrapreneur to dog lover. Kelly the “dog lover” is not in fact a professional dog lover. Photo illustration by Slate. Screencaptures via ABC. If you’ve seen an episode of The Bachelor or The Bachelorette in recent years, you may have noticed that contestants’ “occupations” are not your standard crop of human professional pursuits. Sprinkled amid the teachers and the nurses and the personal trainers are job descriptions that seem dreamed up by some new-agey trust funder or a particularly dull child. There was Lucy the “free spirit,” also from Juan Pablo’s season, memorable for her bare feet and relentless nakedness. There was Tony the “healer” from Bachelorette Season 11, whose far-out riffs on love and truth were supplied with a soundtrack of twanging zen instrumentals. Season 9 briefly featured Nick R. the “tailor/magician.” The current Bachelor season had a “chicken enthusiast” named Tiara who expressed said enthusiasm on repeat until she got cut at the end of the premiere. It’s a particular quirk of the Bachelor franchise that job descriptions are so crucial to character development—no other reality shows flash contestants’ occupations every single time they’re on camera. The producers write bios during the editing process, after the season is done filming and the outcome is known. 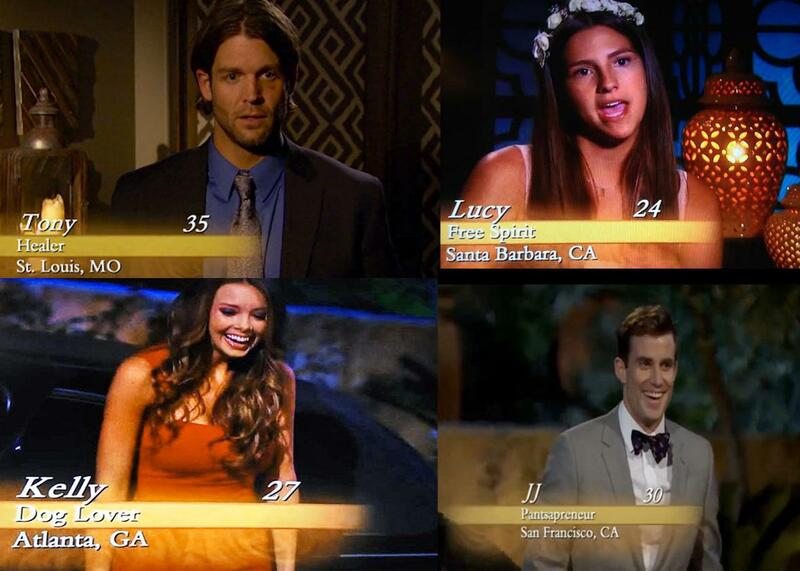 So how do The Bachelor and Bachelorette dream up their job titles? How do they decide who gets to be called an “esthetician” and who is dubbed a “manscaper”? And how does it feel to be known in the annals of network television as a “panstapreneur”? “I certainly did not expect to get called a ‘panstapreneur,’ ” says Bachelorette Season 10 contestant JJ O’Brien. To be fair, he had just graduated from Stanford Business School and was running a startup pants retailer at the time. And he did write down the word “panstapreneur,” mostly as a joke with some friends, somewhere on his 25–30 page questionnaire. But he’d never used the word on the actual show. “My mom was not excited,” O’Brien said. “She would rather have had me called ‘Stanford Business School Graduate.’” In the end, he was portrayed as a good-natured screwball who romanced Bachelorette Andi with his antics until she decided she wanted a man who had formerly played pro sports instead. There are certain cast members you will never see acting like a goofus or talking to animals or drunk skinny-dipping, no matter how much they actually did those things: the season winners, and the people who might star in future Bachelor and Bachelorettes. “We make sure those people come off smelling like a rose,” Carbone said. And part of this strategy, of course, involves making sure that the “serious” contestants always have normal-sounding jobs. Ben Higgins, current Bachelor, is a “software salesman.” Andi Dorfman, former Bachelorette, was “assistant district attorney.” Recent Bachelors have included one “insurance agent,” one “account executive,” and one “global financier.” Though the franchise may have all the credibility it needs, of course it’s still stubbornly old-school at heart.